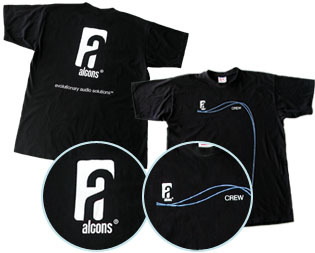 T-shirt, short sleeve, heavy quality, black, Alcons logo (chest) + Alcons print (back). Please select L, XL or XXL. 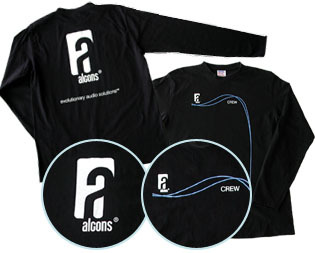 T-shirt, long sleeve, heavy quality, black, Alcons logo (chest) + Alcons print (back). 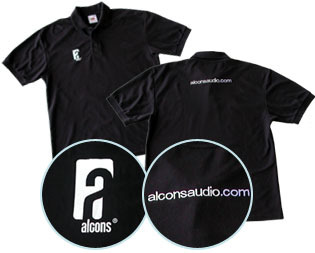 Polo shirt, heavy quality, black, Alcons logo (chest) + Alcons URL (back) embroidered white/blue. 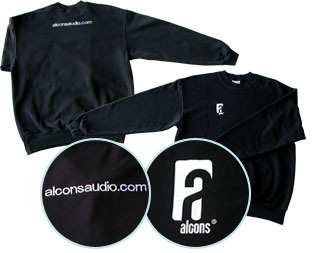 Sweat shirt, black, heavy quality, Alcons logo (chest) + Alcons URL (back) embroidered white/blue. 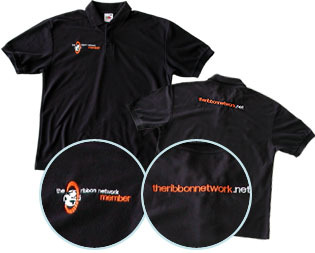 Polo shirt, heavy quality, black, The Ribbon Network logo (chest) + theribbonnetwork.net URL (back) embroidered orange/white. 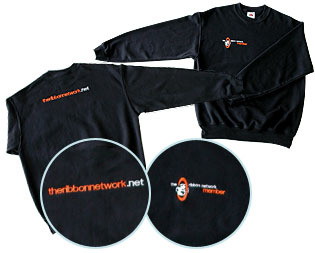 Sweat shirt, black, heavy quality, The Ribbon Network logo (chest) + theribbonnetwork.net URL (back) embroidered orange/white.